ReDesign Concepts Blog: Patios, Porches and Pergolas...Oh My! Patios, Porches and Pergolas...Oh My! 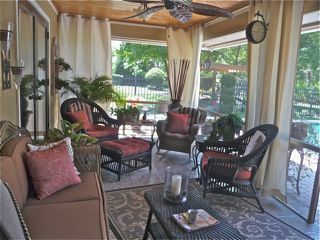 Patios, porches and pergolas are the perfect places to spend time relaxing this season. 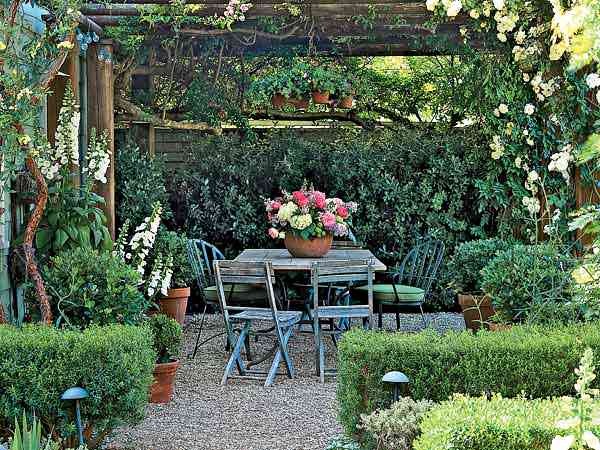 Bringing the inside out can help create an intimate and cozy space for outdoor living. Adding elements such as curtains and lanterns bring a warm intimacy to these outdoor retreats. Views from all sides....gather around in this circular porch. 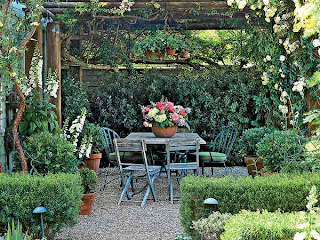 A pergola supports beautiful climbing vines creating a canopy over the entire area. 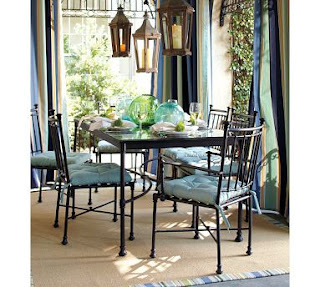 A weathered dining table and chairs provides a peaceful spot for outdoor entertaining. 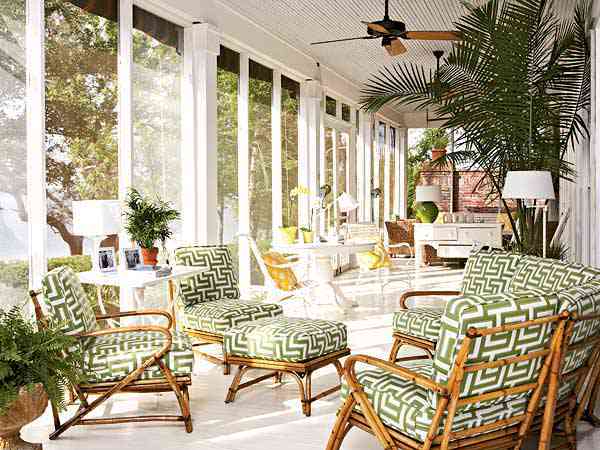 Geometric fabric in bold colors add a fun colorful element to the porch. Hang curtains on your porch to help create an outdoor room. Be sure and hang them as high as you can to give the illusion of a taller space. Tie the curtains back during the day then pull them closed to help beat the heat of the afternoon sun. If you need style and comfort for your garden or your lawn, you can just get yourself a gazebo hut. It will serve as your perfect hideout during sunny days and will keep you warm on a rainy day. Yes! Another great idea! 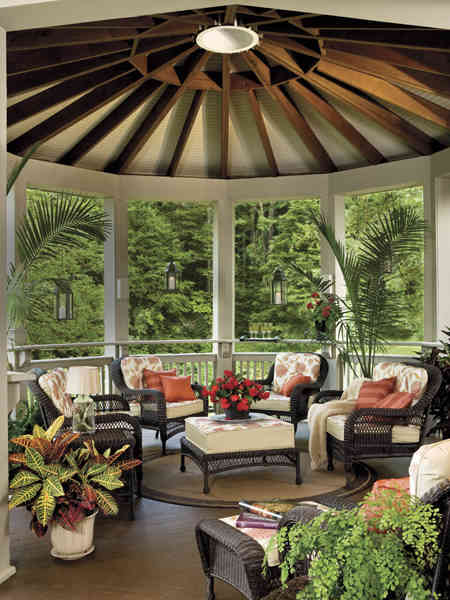 I love gazebos too. Thanks for sharing!